Ben Moon is an audio/visual artist and technician currently based in London. 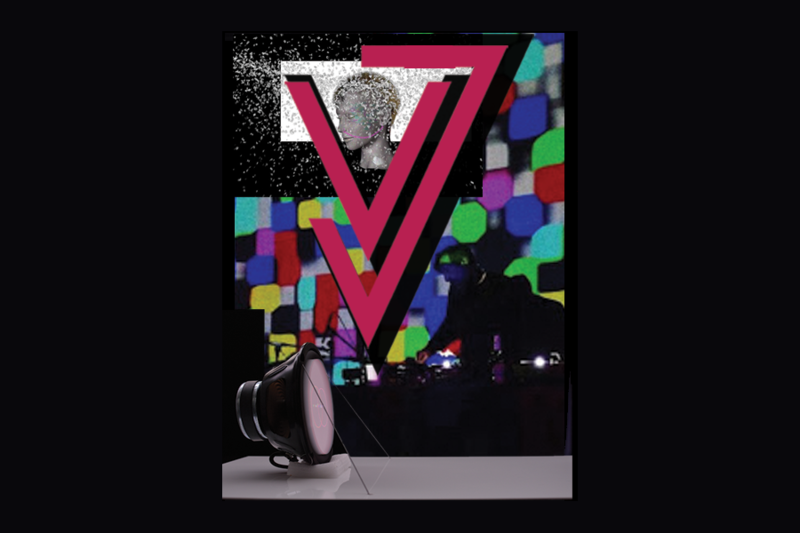 He has worked predominately in audio visual installation and performance, VJing and video mapping. Performing with artists including Moon Zero, Karen Gwyer, Zuli, Andrew Wetherall and Skinny Girl Diet to name a few. The artist has also released a wealth of recorded material under various pseudonyms namely Forest Creature and Sounding. Ben will present a solo project that has been an on/off project for the past year combining sound, shape and colour mixing with a good dose of glitch. 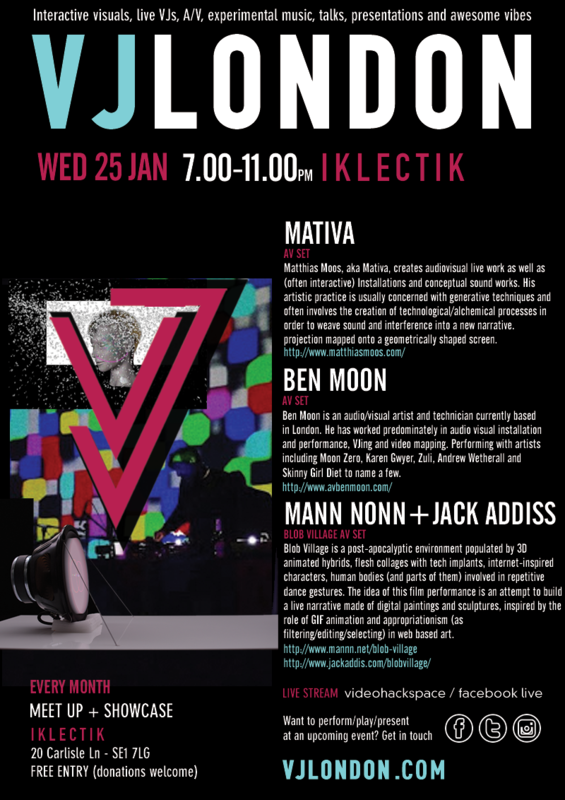 Matthias Moos, aka Mativa, creates audiovisual live work as well as (often interactive) Installations and conceptual sound works. His artistic practice is usually concerned with generative techniques and often involves the creation of technological/alchemical processes in order to weave sound and interference into a new narrative. Moos has played and exhibited in numerous places around europe and china and is looking forward to show you some of his most recent work. Blob Village is a post-apocalyptic environment populated by 3D animated hybrids, flesh collages with tech implants, internet-inspired characters, human bodies (and parts of them) involved in repetitive dance gestures. The idea of this film performance is an attempt to build a live narrative made of digital paintings and sculptures, inspired by the role of GIF animation and appropriationism (as filtering/editing/selecting) in web based art.